Former CIA Director John Brennan said on Thursday he would not be silenced by Donald Trump, a day after the U.S. president revoked the Obama-era official's security clearance and said the move was directly tied to the ongoing Russia investigation. The Republican president said in a statement on Wednesday that he revoked Brennan's authorization for making what he called "unfounded and outrageous allegations" about his administration and was evaluating whether to strip clearances from other former top officials. Brennan and the others have been critical of the president. "I call it the rigged witch hunt, (it) is a sham," Trump said in an interview with the newspaper on Wednesday. "And these people led it." "It's something that had to be done," Trump added. The president has denied any collusion. Russia has said it did not interfere, contrary to the U.S. intelligence community's findings. Brennan, who led the Central Intelligence Agency under Democratic President Barack Obama, on Thursday called Trump's denials "hogwash" and vowed not to be silenced. "The only questions that remain are whether the collusion that took place constituted criminally liable conspiracy, whether obstruction of justice occurred to cover up any collusion or conspiracy, and how many members of 'Trump Incorporated' attempted to defraud the government by laundering and concealing the movement of money into their pockets," Brennan wrote in an op-ed published in the New York Times. Former U.S. Director of National Intelligence James Clapper, another critic whose clearance Trump said he might target, cautioned that Brennan was expressing "an informed opinion." It remained up to Special Counsel Robert Mueller, who is leading the probe, to make a final conclusion, Clapper said. "There needs to be an official determination made about this, and that, I think, can only be done by the Mueller investigation," Clapper told CNN on Thursday. 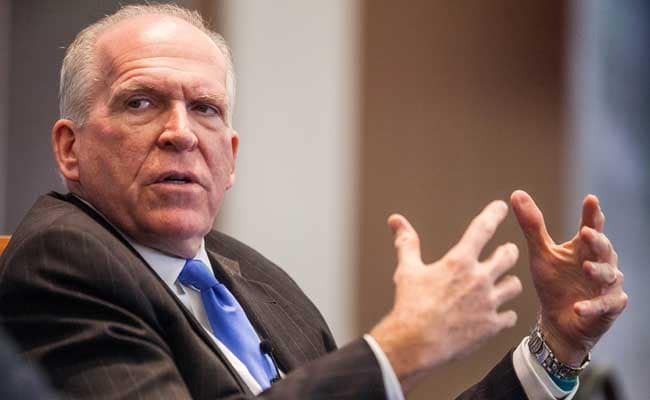 Brennan is not facing any formal charges of violating any regulations or laws. He has frequently criticized the president on television news shows and in blistering tweets that Trump on Wednesday called "wild outbursts." Democratic lawmakers blasted the president's move as dangerous. U.S. Representative Joaquin Castro said Mueller should also investigate the issue now that Trump tied it to the Russia probe. "It's an abuse of power because he's not doing it for a legitimate reason," Castro told CNN.